sac fry fest returns to roosevelt park in downtown sacramento on may 11th! Experience the creativity of local chefs as they put their culinary skillz to the test with loaded fries you’ll love! 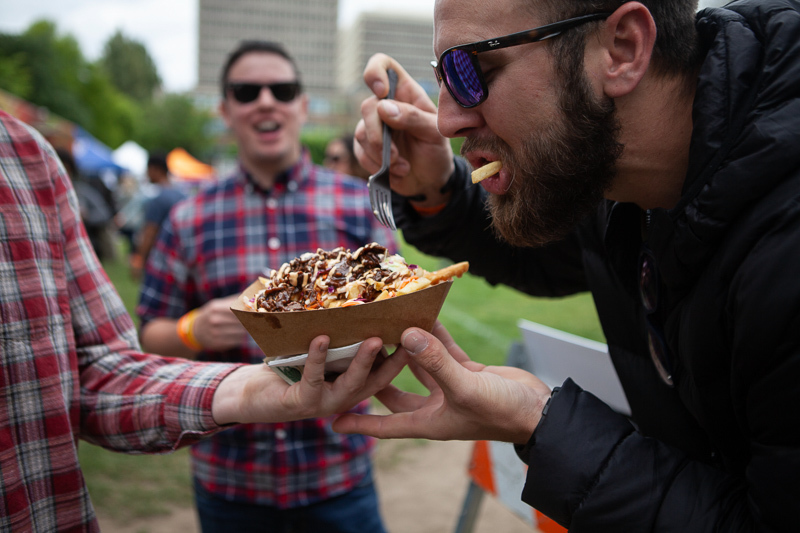 From the savory to the sweet and everything in between, there will be something for everyone at Downtown Sacramento’s 2nd annual celebration of all things loaded fries...PLUS witness an EPIC loaded fry battle and cast YOUR vote for the People's Choice Favorite! Join us for live music and fry-themed entertainment, kick back with a craft brew or cider, shop the local makers bazaar, let the kids play at the Fry Fest kids zone and enjoy a delicious day in the Capital City! Enjoy live music, kick back with a craft brew or cider, shop the makers bazaar, let the kids play at the Fry Fest kids zone, cast your vote for the PEOPLE'S CHOICE AWARD and more! We have a gloriously delicious and extra FUN festival day planned for you! Read the Sac Fry Fest F.A.Q.S to have all of your questions answered regarding festival location, times, dietary accommodations and more!